We threw everything we could think of at the Black+Decker – Purifry Air Fryer in the hopes of tripping it up. From elegant baked chocolate cakes to rugged fish and big chicken drumsticks to breakfast dishes, this powerhouse nimbly came out a clear winner in our mission to discover the best air fryer. 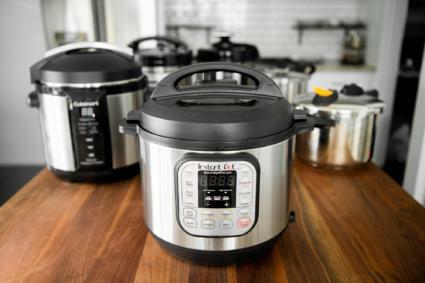 With more than 35 hours of research and testing, and several recipes cooked and eaten, we chose the Black+Decker over a crowded field of competitors, thanks in large part to its consistent performance and sleek looks. Since we last reviewed air fryers, one of the models we tested — Le Coucou — has been discontinued and two models — Philips – HD9220 and GoWISE – GW22621 — were updated. We tested both new models, and the new GoWISE – GW22826 outperformed the new Phillips – HD9641/99 and is our new runner-up. We scoured dozens of threads, reviews, comparisons and Amazon listings to try and put together a fair fight based on main feature sets and consumer preferences. 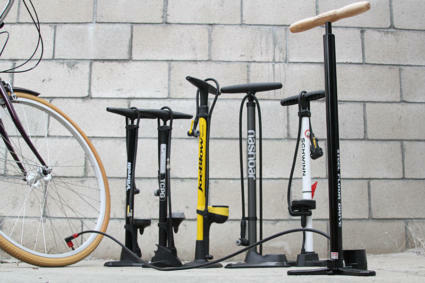 We put together a test group of comparable sizes, functionality and aesthetic characteristics. While we don’t use price as a primary factor, all of our leading contenders are in a competitive pricing market. That means that we do consider how a product might be a great value, based on its price and performance. There is minimal differentiation in the market as far as the core technology behind the air fryer. What is impressive with air fryers, in general, is the across-the-board high ratings for these products. Consumers love them and it’s clear that they’re making a major impact in the lives of those who have become early adopters. The more we explored the market, the more we realized just how similar many of these products there are. 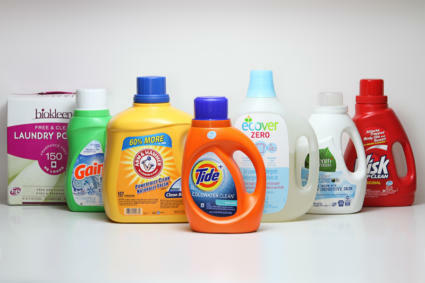 It is obvious that there are a number of products that are being produced in the same factories and are being either slightly altered and rebranded or just simply renamed for different manufacturers. For example, if you compare the displays of the Power Air Fryer XL and the 4th Generation GoWISE touchscreen model, they appear to be identical. While a select few products break the barrier of $300 per unit, the majority of the market is priced between $100-150. We chose a range of manufacturers within that very affordable price point and made sure all were well-reviewed and being used in many kitchens. We also wanted to see if a budget air fryer like the Le Coucou – Harmony could go toe-to-toe with a more expensive unit such as the Philips – HD9220. What do you get for the extra money? 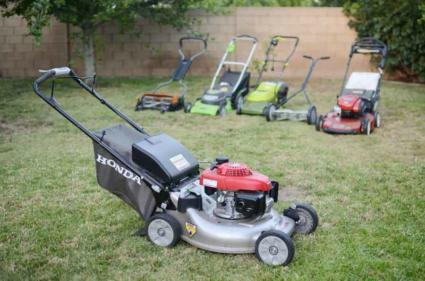 Many of the more expensive models are simply upgrades in size and capacity. A select few also include more advanced presets or more complicated interfaces. We found that a simple two-knob control (temperature and time) was more than sufficient to operate the machines. We are also concerned about the longevity of products with complicated internal electronics. Products with digital screens may be more prone to difficult repairs. Only our winning best air fryer, the Black+Decker – Purifry, offers a two-year warranty. The five devices we tested were all roughly the same capacity, easily feeding two people. Larger families or frequent entertainers may want to consider a larger model than the ones we tested, but the rapid cook times for most recipes means most families can probably stick to one of our five finalists. When we learned that Le Coucou had been discontinued, we decided we should check the manufacturer websites for the air fryers we previously reviewed to see whether any of them had been updated or discontinued. Only the GoWISE and the Phillips have been updated, both of which are digital, so we ran them through the same tests as we did their earlier models. 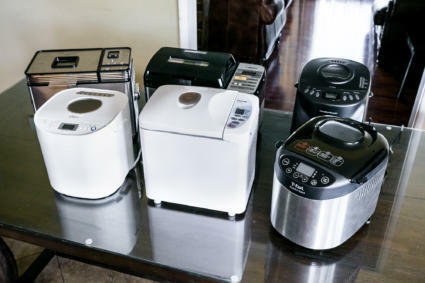 We also researched the newer air fryers on the market and determined that most were exactly the same as the models we already tested and thus didn’t warrant testing. Every model we tested features a physical or digital timer that automatically turns the device off after a certain amount of time. This is both a cooking function and a safety feature. Two of the five devices tested had timers up to 60 minutes, while the other three offered a maximum cook time of 30 minutes. We found that very few recipes require more than 30 minutes of continuous cooking without needing a visual check, rotation or shaking. What is more important is the articulation in the timer and the ability to set a more precise cooking time. Some timers have notches that indicate every minute, while some only indicate every five minutes. We found that timers with a digital setting or individual minute indications were the easiest to work with. Small differences, such as the articulation of the timer or temperature meters can be the difference between cooking and guessing. The touch screen on the GoWISE model we reviewed provided exceptional accuracy. On the other end of the spectrum, the Black+Decker model we reviewed had temperature indications in jumps of 70°F, somewhat limiting one’s sense of confidence as to the accuracy of the device. 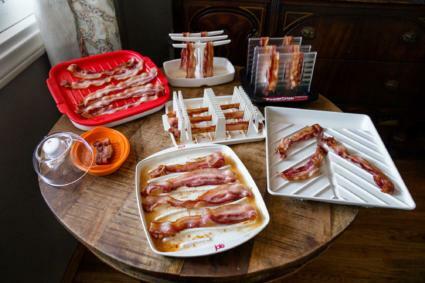 Every product we tested featured some level of non-stick coating in its product. It is extremely useful for the majority of the cooking surfaces to be non-stick to support the easy transfer of food from cooking to plating. 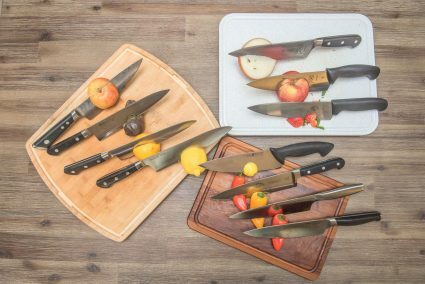 Non-stick coating also greatly improves the cleaning experience, allowing a quick wipe down or rinsing in between cooking more complex recipes. The only device we tested with limited non-stick application was the Philips model, which featured a metal grate in its tray and was more frustrating to use and clean without using a dishwasher. There’s no doubt that our kitchen countertops are getting crowded. With coffee makers, microwaves, toasters and convection ovens making their way into our lives, kitchen real estate is at a premium. In order to secure a coveted spot, any new device must earn its keep. There are many cooks that will love these devices. Whether you’re trying to watch your weight or find a few extra minutes in your busy life (aren’t we all? ), there’s a use for you. Manufacturers of air fryers rightfully market them as a healthy alternative to frying. Outright, they’re just a healthy way to cook. The mechanics of the machine allow you to cook with little to no oil and still create delicious, tender and appetizing cuisine. It will have you cooking leaner meats, healthy vegetables and fresh food in an easy-to-operate platform. Because there’s a certain novelty to using an air fryer, you will find yourself trying new dishes with healthier and fresher ingredients. You’ll get great results by doing something as simple as throwing some broccoli, asparagus or mushrooms in with a dash of seasoning and a spritz of oil. Air fryers cook fast. Really fast. They get up to temperatures of 400°F in less than five minutes and the air circulation helps you create meals quickly and efficiently. When it comes to packaged or frozen foods, the air fryer manufacturers recommend cooking 70°F less and halving the cooking time. For example, for a serving of chicken nuggets that might recommend cooking at 375° for 20 minutes, you would cook it in your air fryer at 300° for 10 minutes. Air fryers aren’t just faster with these popular meals, they also do a great job preparing them to their best possible quality. We found packaged foods like corn dogs, frozen vegetables and burritos came out crispy, even and really good. And leftovers? Without a doubt, you’ll be asking for doggie bags and to-go containers. They don’t just quickly handle these popular meals well, they also clean up in a cinch. The main components are easily wiped down or thrown into the dishwasher. 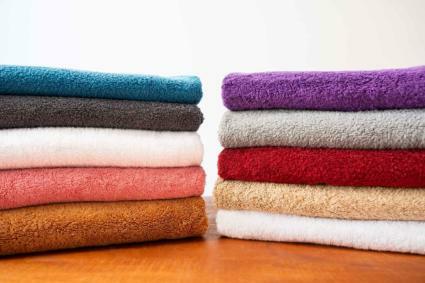 In a small kitchen, bachelor pad, dorm room or RV, we see these products being an irreplaceable addition to daily life. Incredibly, we foresee these appliances as able to replace kitchen stalwarts such as small convection ovens, toasters and toaster ovens. Air fryers don’t use microwave technology, so you can say goodbye to “nuking” your food. They use a more straightforward heating method: an electric burner and cycling air. And at a very fair price point, they also make great gifts. Though the patent was originally filed in 1989, the air fryer has mostly remained under the radar as a core kitchen appliance in the US until recently. So what do home cooks around the world know that we don’t? The main heat source is an electric-powered coil, similar to one you may see on an electric stove. Among the products we tested, a similar coil was used. 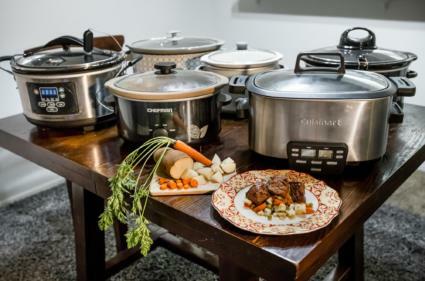 This is the main engine of the product and you see manufacturers of air fryers using similar technology in other home kitchen appliances such as electric kettles, crock pots, sous vides and panini makers. Because of the wide variety of products many of these manufacturers create, this method of heat transfer is a reliable and long-tested technology. The heat from the coil is circulated by a convection system; a fan moving the hot air around the coil around your food. This creates a cooking system that is even and steady, with some extra heat for food directly under the coil. The ability to cook oil-free or with extremely limited oil is due to the airflow pattern in the air fryer. Oil circulates in miniscule proportions and drippings from the food drop to the bottom of the bin and off the tray. There are some differentiating factors between the various models as to how they handle the air flow, but they’re mostly aesthetic or small degrees of differences. For example, we didn’t detect much differentiation between the Philips’ Starfish technology and other products which had a more standardized base. To hold the food while cooking, each product features a two-part basket that sits under the coil during cooking operation. A larger basket contains a smaller metal tray usually coated with a non-stick material for easy removal and cleaning. These baskets have some slight differences in design but are relatively uniform as far as features go. Some may have an additional safety mechanism or a different grate pattern. With these three core components, you are able to execute a cooking style that impressively blends a number of techniques into one machine. The manufacturers claim that their air fryers can grill, roast, fry, steam, broil and even bake. From our testing, it seems that it can do all of these styles in some way or another. We found that cooking with an air fryer was closest to baking or roasting with the added benefit of creating a great, crispy outer layer on anything we threw in it. The best news is that cooking with an air fryer is simple, easy and relatively foolproof as long as you keep an eye on your food. This isn’t a crockpot and it isn’t completely forgiving of unattended, slow cooking. But it is a great way to get over your fear of the kitchen. Preparations are simple; set the timer and enjoy your meal. When using an air fryer, we highly recommend using a meat thermometer to make sure that your meal is fully cooked. The air fryer is great at making food that looks appetizing and fully done because of that even browning and crisping around your food. Visual cues are less useful when air frying, based on what you might be used to seeing. Without a doubt, air fryers aren’t graceful, delicate cooking solutions. A fine chef might be embarrassed to use one in their restaurant and it lacks the excitement, aroma and flare of cooking over an open fire. But they are a serious addition to the lives of busy families looking to cook fresh or packaged foods on a regular basis in an easy-to-clean device. Many of the reviews we researched had just a single product reviewed at a time or did not maintain similar scenarios for each product. We tested and compared multiple categories: cooking, cleaning, build quality, functions, features and ease of use. We set up all five air fryers simultaneously and cooked identical recipes and quantities in each product. We chose six different recipes recommended by manufacturer-included recipe books or various food blogs dedicated to cooking with these devices. We chose recipes that we felt would both represent a typical usage of the machine as well as challenge the abilities and nuances of the product. We wanted to test out the claims that these items could handle frying, baking and grilling styles. We cooked jalapeno poppers, catfish, fried chicken, frittatas, french fries and chocolate souflées. The more we cooked, the clearer it became which product could hold up to daily use and earn a permanent spot on the countertops and hearts of consumers. One of the most desirable aspects of owning an air fryer is how easy they are to clean. Because you cook everything in one closed area, your messes are contained and oil splattering stays within the closed basket. We tested each air fryer’s clean up by hand by wiping down the exterior and interior. And of course we tested the dishwasher-safe components of each machine. We turned knobs over and over. We slammed the baskets in and out. We mashed buttons. We plugged and we unplugged and we plugged again. Basically, we gently beat the machines up to simulate repeated use in a busy household where you depend on your appliances to hold up to the daily challenges of life. Our testing group included both younger and older, male and female users. We wanted to make sure that the devices were intuitive, logical and mechanically designed to meet the needs of a wide range of home chefs. We are excited to give our digital statuette to the Black+Decker – Purifry. The model number tested, the HF110SBD Two-Liter, was incredibly consistent across every measurable category. Among the most important factors, it handled every recipe we threw at it with grace, was easy to clean and produced among the best results for each dish. Beyond the functionality of the features and the excellent build quality, we loved the hot food that came out. The jalapeno poppers were gooey, the catfish flaky and juicy, the chicken crunchy and evenly cooked. It’s the sort of product that makes you want to invite people over and cook for them. The Black+Decker was the best-performing cooking platforms we tested. 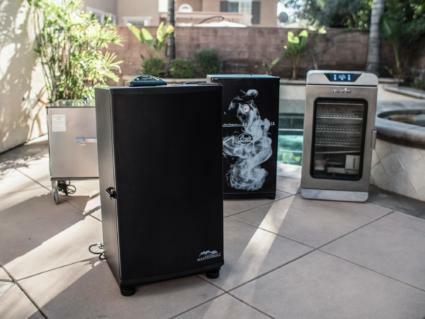 The Purify model provided incredibly even cooking across every recipe we threw in it. This is perhaps helped by its slightly smaller power draw compared to some other models (1200W vs. 1400 or 1500W). Combining impressive performance, aesthetics and build quality, the Black+Decker air fryer is our standout top pick. The Purify's simple controls make it versatile and easy to use, plus it comes with a two-year warranty. The fact that this was the only model that came with a two-year warranty is no small feat. In an era of throwaway appliances, Black+Decker is a brand synonymous with long-lasting, reliable power tools and it shows in this product. Its strong, well-built dials are resistant to getting knocked around. And with minimal electronics, it seems poised to last a long time. The heavy-duty build quality is clearly shown in the basket and tray. During testing, we found that it would slide in and out smoothly every time. It has all of the safety features you would want in an air fryer and can frequently be found at a price point just below $100. The fact that this product is carried at many big-box retailers is an indication that it has passed internal QA in the corporate world. It’s clear that if these were models that were getting returned a lot, they probably wouldn’t be available at the mass-market level for as long as they have. It was also one of the better aesthetic presentations. The black and silver combination matches well with our winners for best single-cup coffee maker, electric kettle and waffle maker, as well as many other top kitchen appliances. No product is perfect and we hope that we see some of these improvements in future iterations. For one thing, we found that the temperature gauge was only marked in 70° increments. This means that you may need to guess a bit when it comes to cooking temperature. That said, air fryer cooking is relatively forgiving when it comes to heat levels. There was some residue left on the machine from the tape used to hold the fryer bin to the body. A little elbow grease removed the residue and at least the product is being held together during transport. The Black+Decker didn’t include an in-depth recipe guide like some of its competitors. You can easily find great recipes online, but it might be worth developing to help consumers get started with their new favorite kitchen friend. Lastly, there are a limited number of accessories currently available for the Black+Decker air fryer. This could be easily resolved by releasing and possibly including them in the package. This would bring their offering to match what Philips is offering at the top-end, complete with an overall better device. Black+Decker – Purifry air fryer is a fantastic cooking performance across many different styles and recipes. Lower power draw means more efficient cooking for smaller kitchens and budgets. Best-in-class warranty and availability at top retailers. The updated GoWISE – GW22826 cleared up several of the problems we encountered when we tested the GoWISE – GW22621 model. As before, we enjoyed the precision of setting a timer and temperature. It felt more like working with a high-end oven than the other products and it also allowed the use of presets. Although we still maintain that the GoWISE’s complex electronics might break more easily than a manually controlled air fryer, we no longer had trouble with its tray, which previously reset cooking time and temperature when it was left open. The new GoWISE now automatically pauses the time and temperature when the tray is removed and resumes when the tray is re-inserted. GoWISE has redesigned the fryer so the digital menu with pictograms of foods and adjustable time and temperature controls are on the flat top of the unit. (The earlier model had the digital controls on the face of the unit.) The pictograms represent the programmed settings for time and temperature for chicken, fish, fries and desserts, which we tested and found to be accurate. This updated model resolves issues we had with the previous version. Its digital interface is now easier to use and lets you make consistently crispy chicken, fish and French fries without dealing with messy grease. The new GoWISE also did markedly better in the cooking tests and was comparable with the updated Phillips. Previously, the GoWISE was unable to achieve the same crunch in both the fish and chicken tests. This time, however, the updated model performed very well, giving us crunchy exteriors and tender, flaky interiors. The French fries were also excellent, tasting of potato with almost no after-taste of oil, as we had with the new Phillips model. The jalapeno popper was also delicious with the chili perfectly cooked and the cheese melted and gooey. The souffle had a cupcake consistency, but it was still light and evenly baked. The GoWISE’s only fail was the frittata. Its exterior was a rich golden brown but the interior was soupy. We tried cooking it three more times for a couple of minutes, but the inside never fully cooked and the exterior turned rubbery. In our previous test, the GoWISE tied with the Phillips as runners up. However, with the substantial improvements to the new model, we recommend the GoWISE – GW22826 over the updated Phillips. GoWISE has redesigned its digital interface for easier and more accurate programming of time and temperature. The improved cooking tray automatically pauses and resumes programming without interruption when removed and reinserted. The new GoWISE – GW22826 performed better in the food tests, giving us crispy chicken, fish and French fries. This lesser-known Avalon Bay – AB-Airfryer 100 performed admirably well compared to the heavy hitters it was going toe-to-toe with. On the fried chicken test, it produced one of the most delicious results, with one reviewer commenting that it “tastes better than KFC.” We found the cooking to be even across all of the tested recipes. It was also the lightest product at 11 pounds, which makes it, pound-for-pound, the best cooking product we tested. The product comes with more accessories for the money than any of its competitors. The baking dish was well-built and stylish. The equivalent accessory for the Philips is over $30 as a separate item. The Avalon Bay also comes with a delightful full-color recipe book to get you started immediately. We found the build quality to be on par with our winner, the Black+Decker, and the GoWISE touch-screen model. It was slightly under-built compared to the Philips. Perhaps the biggest differentiator between the other four products was its fake brushed grey plastic accents which put it a level below the actual shine on the Black+Decker and GoWISE. It also lacked a safety release on the fry basket, not a critical component but one place where they were able to save a bit in production costs. In our first testing, we liked the Philips HD9220 very much and recommended it as a top pick for the adventurous chef. Soon thereafter, Phillips discontinued the HD9220 and replaced it with the HD9230. Philips has updated that digital model with a newer version, the Philips – HD9641/99, and we were not as impressed. Design-wise, the new digital model doesn’t seem to be as sturdily built, and the HD9220’s retractable cord — a feature we loved — has now been eliminated. The fryer temperature can only be adjusted in 25-degree increments, so for a 360 ℉ you need to compromise between 350 ℉ and 375 ℉. Any cook would consider the inability to program an exact temperature as a big fail. Unlike the new GoWISE, the digital Philips does not automatically shut the convection off when the tray is removed. Consequently, the timing needed to be adjusted when the food was repositioned for even cooking. As before, the most difficult component with the Philips was the metal grate system at the bottom of the fry tray. Not only is the grate difficult to insert and remove, but food got caught in the grate’s mesh, making it a pain to clean. The instruction manual is one of the most confusing we’ve ever seen in an appliance. Perhaps taking its cue from IKEA, everything is in pictograms and the few written instructions (in several languages) refer you to a pictogram, which you have to search for since the picture is not aligned with the text. In our previous testing, the Philips cooked food faster than the other air fryers. Such was not the case with the digital model. Although we had almost comparable results, the Phillips took a few minutes longer to cook food than the GoWISE. However, that stated, all of the food we cooked in the Phillips was very good or excellent. We found that Le Coucou’s build quality, food quality and electronics were subpar compared to the rest of the group. Each dish that we cooked in the Le Coucou was either as good or worse than the rest of the products. We surmised that Le Coucou was likely built in the same factory as our winner, the Black+Decker, as they share many characteristics in design. But apparently, Le Coucou skimped in production, which resulted in a poor final product. The air fryer is a marvelous device to handle a wide variety of needs and new experiments in your home kitchen. Adding an air fryer to your kitchen is sure to open your mind to a ton of fast, easy and healthy dishes for you and your family. Cooking with an air fryer is deceptively simple. While reading the manuals, you might be concerned with how many different tips, tricks and pointers there are. Without a doubt, after a few dishes, you’ll find the machine easy to use and a joy to cook with. Our top pick, the Black+Decker – Purifry, is one of a number of quality, well-designed offerings on the market. But its style, build-quality and performance outmaneuver its competitors to earn our esteem. It was able to cook french fries to perfection. It flourished preparing a frittata. It even baked a delicious souffle — and it did it all without breaking a sweat, the bank or our patience. 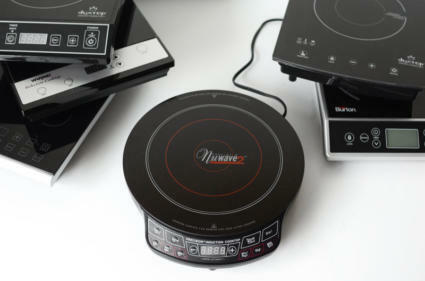 In our new testing of updated digital models Phillips – HD9641/99 and GoWISE – GW22826, we found the GoWISE was much easier to use, and thanks to the company’s smart redesign of the prior model, it also gave us great cooking results. With all of the model’s improvements, we’ve elevated the GoWISE – GW22826 as a runner-up. Outshining our field of finalists, this Black+Decker air fryer offers great value and a reliable way to make a wide range of healthy and delicious meals in your kitchen. The Purify is both solidly built and solidly performs.